With the summer holidays looming, this is a crucial time to ensure that preparations for the 11-plus exams stay at the forefront. As usual, the Geek School 11-Plus Intensive Course will be taking place this August to support children during the last weeks of their preparation for the grammar school tests. The Geek School 11-Plus Intensive aims to cover the core topics in the exams, across all four subjects (English, maths, verbal reasoning and non-verbal reasoning), plus exam techniques. Children will learn how to recognise key exam question types with the aim of solidifying their approach to papers, improving their timing, boosting their confidence and their scores. 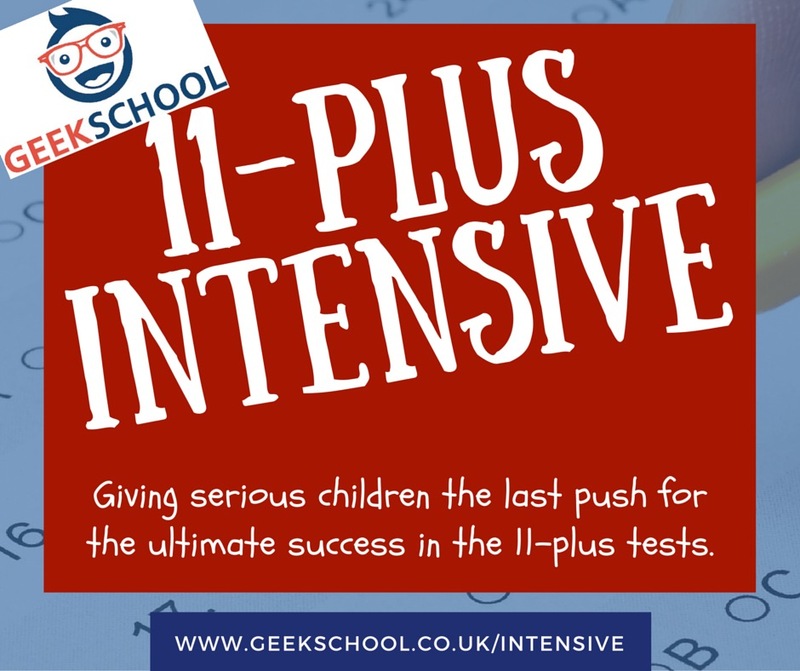 The 11-Plus Intensive is not like the normal tuition that your child has been attending at Geek School. It’s purpose is to help children to consolidate the key areas covered in the exams and to hone in on their exam techniques. In the past, some children have seen their scores increase by as much as 30% after the first week.